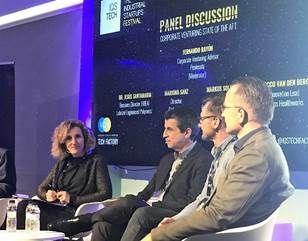 CLEVELAND, Ohio, Feb, 26 2019 - (ACN Newswire) - The Lubrizol Corporation's Engineered Polymers business was one of the premium sponsors of the third edition of IQS Tech Fest and actively participated in the conference that took place in Barcelona, Spain on January 24th. 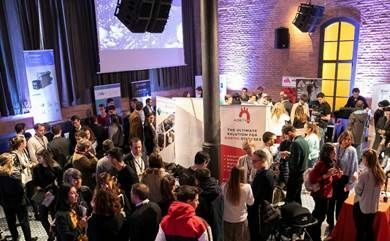 The event, which is organized by the Chemical Institute of Sarria (IQS), gathered about 1,000 people and 34 startup companies involved in industrial entrepreneurship. The festival was born with the aim of promoting industrial innovation and seeks to foster collaboration between industrial startups and international companies. The event also included an exhibition and an industrial investment forum, apart from the conference with international speakers. "One of our goals at Lubrizol Engineered Polymers is to solve global problems that no one has solved so far," states Dr. Jesus Santamaria, regional business director for Engineered Polymers, EMEAI. "We see value in collaborating with startups by building access to a new source or a unique way to solve a meaningful market problem - where both parties contribute with either innovative technology, business models or market intelligence that will benefit both."